Himalaya journeys Treks & Expedition welcome you to the majestic Himalayan world of Nepal where you can experience the immense contrasts in altitude climate that support an equally spectacular variety of life styles and flora and fauna having breathtaking views of the Himalayan peaks and city of natural splendor, historical, cultural and archaeological significance. 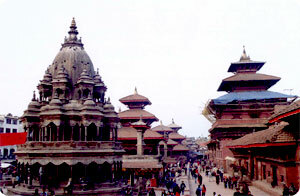 Nepal is the one of the popular travel destination for adventure tours package. Nepal provides something for everybody - Tourists, Trekkers, River runner, wildlife enthusiast, artist, scholar, or the weary in search of a personal Shangri-La. we constantly strive to redefine the frontiers of customer satisfaction. And in our quest we have built up an enviable infrastructure that will cater to your varied needs. We have packages that suit all interests and budgets, and we specialize in offering customized packages Tours in Nepal . So while you enjoy the breathtaking beauty of the Himalayas, or the excitement of white water rafting, we will quietly take care of all the details behind the scenes. We believe in cooperation in this tourism field of serving the respected guest with the tons of harmony and the widths of our smile as well as the lengths we go to look after you/them. You can be confident that we spare no effort to satisfy you/your guest. As you know that Nepal is a popular destination for adventures/cultural tourism because of the great Himalayan range including world's highest mountain "Mount Everest- 8848 m) .We provide you various options of time-tested leisure as well as adventure packages Tours in Nepal, Tibet, Bhutan and Sikkim.